Today we have two more very simple and effective mental game tips for you. 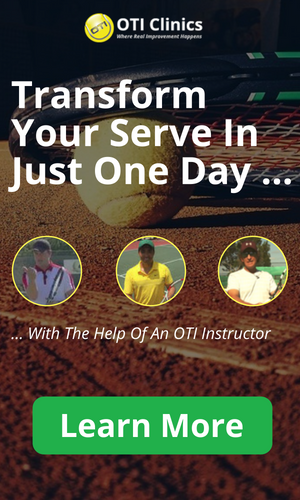 Every tennis player gets nervous from time to time and you need to have some effective strategies to deal with that situation on the court. If you tend to get too tight in your arm under pressure, then today’s tip will be a total game-changer for you! A few years ago I teamed up with mental game expert Jeff Greenwald to produce an online video course. Jeff shared his groundbreaking looseness dial with the OTI community and it has helped thousands of players deal with their tightness effectively since. So what is the looseness dial? This drill allows players to recognize the tightness or looseness of their muscles and adjust it when necessary. The first step is to recognize the optimal tension of your arms and legs. On a scale of 1-10, 1 means super loose and 10 means super tight. We have found that the optimal tension for your hitting arm is around 3 or 4. In order to get a feel for this, straighten out your arm and squeeze your fist. Raise you tension levels from 1 to 10 and then find your optimal tension level. 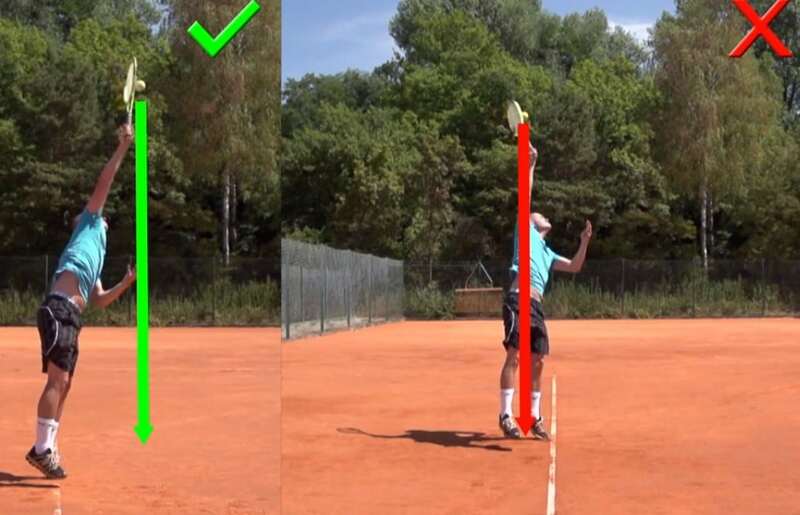 Next time, during a match in between points, when you feel tight, recall your best tension level. The idea is to memorize the feeling of your optimal tension level so that you can then recognize when you are too tight in a match and adjust the tension level. This is a very different and much more effective approach than simply telling yourself to relax when you are too tight. The optimal tension level in your legs is usually a bit higher at around a 6 on this scale. During a nervous situation, instead of slowing down your swing, it is critical that you still go for your shots. Trying to slow down your swing speed usually only makes you tighter. To still make enough shots while you are nervous and still going for your shots, it is crucial to hit to big targets. You want to reduce your chances of missing by leaving a big margin for error while swinging aggressively. This means that you hit high enough over the net and you leave enough room to the sidelines. We usually recommend a target about 3 feet from the sideline. This reduces the fear of missing and allows you to still swing fast and go for your shots.